If you need to gather information on the membership of international and regional organizations or the participation of states to groups (G8 countries, developing countries, etc...) you can visit the page of the CIA World Factbook. The Fourth United Nations Conference on the Least Developed Countries will take place 9-13 May, 2011 in Istanbul,Turkey. 1. The assessment of the the results of the 10-year action plan adopted at the Third United Nations Conference on LDCs held in Brussels, Belgium, in 2001. 2. The establishment of the new strategy for for the sustainable development of the LDCs in the forthcoming decade. A report prepared by the so called Group of Eminent Persons, presented last 29th March, provides information on priorities and issues that should be a the basis of the new strategy to favour the ambitious target to help half of the current members of the grouping graduate by 2020. The proceedings will involve several stakeholders, including governments, international organisations, civil society organizations, scholars and the private sector. The Tribeca Film Festival will present a documentary and from Rwanda on the theme of the reconciliation after the civil war. Haiti, India, Thailand, South Africa, Mexico and China are other countries participating to the festival. The oil spill in the Gulf of Mexico opened the eyes of the public opinion on the environmental risks tied with deepwater oil extractions. The explosion occuring on the Deepwater Horizon platform, last 20 April 2010, killed 10 people. Furthermore, the well released in the Ocean hundreds of thousands cubic meters of oil before being finally capped in September. The accident in the United States revamped the interest to the phenomenon in Nigeria. In Niger Delta, a region of creeks and mangroves about the size of South Carolina, oil spills are very frequent. Environmentalists have calculated an average of 300 accidents per year in the region. These are mainly due to leaks in the obsolete pipelines. Close to the elections, main firms operating in the region have promised to invest money in the modernization of pipelines and refineries and to support the local communities setting up facilities with the large revenues deriving from the oil extraction. Let's hope the big companies will not go back on their promies after the poll. 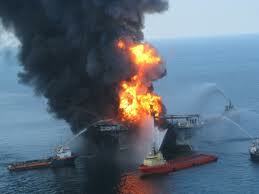 Gas flaring is the natural gas burning associated with the extraction of oil. 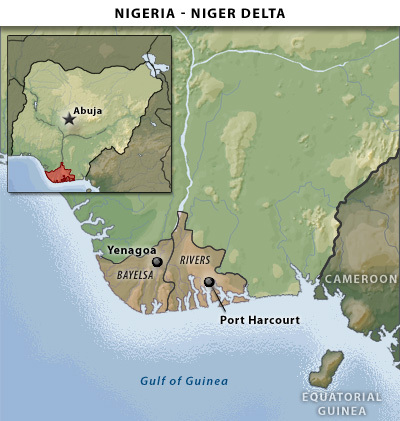 Companies, operating in the Niger Delta, prefer to burn it rather than separate the gas from the oil it as as it commercially expensive to do so. This procedure, not only wastes natural resources that could create additional revenues for the development of the local population, but also damages the ecosystem and heavily contributes to greenhouse gas emission at global level.New initiatives seem to address the problem, as also stated in a recent dossier on the Vanguard, a local Nigerian newspaper. A joint venture between Shell Petroleum Development Company, and Eni Saipem Nigeria Limited will develop a pipeline system that will gather the gas, currently flared, for use in the domestic gas market. When completed, these projects will extend the Associated Gas Gathering (AGG) facilities coverage to more than 90% of the associated gas produced in the Joint Venture operations. The event is organized by the Earth Day Network, a structure with over 22,000 partners and organizations in 192 countries which pursues to broaden, diversify and mobilize the environmental movement through education, public policy, and activism campaigns. This year, Earth Day's focus is on the difference individual actions can make to the world's environment. The "A Billion Acts of Green" campaign aims to generate a billion acts of environmental service and advocacy before the UN conference on sustainable development which will be held the 4-6 June 2012 in Rio de Janeiro, Brasil. In occasion of the celebration of the Year of Forests 2011, a two-day event to describe, analyze and discuss the role played by the forest sector in the rural development of European countries, will be arranged in Rome next 23rd - 24th of June. 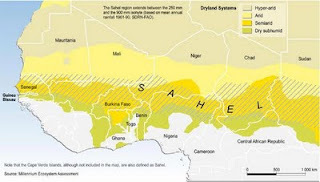 Sahelian zone: Where average annual precipitation ranges between 250 and 500 mm. This zone is at the limit of perennial vegetation. In parts where precipitation is less than 350 mm, only pastures and occasional short-cycle drought-resistant cereal crops are grown; all cropping in this zone is subject to high risk. Sudano-Sahelian zone: Where average annual precipitation ranges from 500 to 900 mm. In those parts of this zone where precipitation is less than 700 mm, mostly crops with a short growing cycle of 90 days are generally cultivated predominantly sorghum and millet. Sudanian zone: Where average annual precipitation ranges from 900 to 1 100 mm. In this zone, most cereal crops have a growing cycle of 120 days or more. Most cereals, notably maize, root and cash crops are grown in this zone. Guinean zone: Where average annual precipitation exceeds 1 100 mm. Guinea-Bissau and a small area of southern Burkina Faso belong to this zone, more suited to root crop cultivation. The zai method helps farmers cultivating crops in a region characterized by arid soils and limited rainfalls. in trees, and farmers should be granted exclusive rights to the trees in their fields. 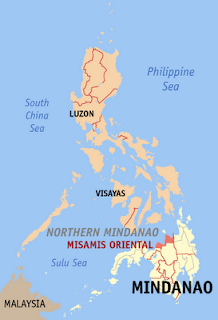 Mindanao, second largest and easternmost island in the Philippines, is one of the most affected by the phenomenon. In particular, Misamil Oriental and Caraga (at its right in the map) regions suffer for the illegal slash and burn of trees, the kaigin as this practice is called in Tagalog, the Filipino language. This method contributes not only to deforestation but also favours the risk of floods and landslides. Illegal logging is not only a big environmental problem but also represent a violation for the rights of the indigenous population. This illegal activity prospers also for the alleged support of corrupt port authority agents, local government and police officials. It's emblematic the story reported by Indigenous Peoples Links (PIPLinks), the UK based organization which advocates and promotes the collective and individual human rights of Indigenous Peoples and other land-based communities. 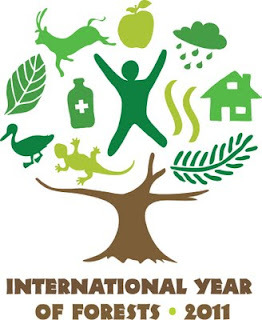 2011 has been declared the Year of Forests by the UN General Assembly. 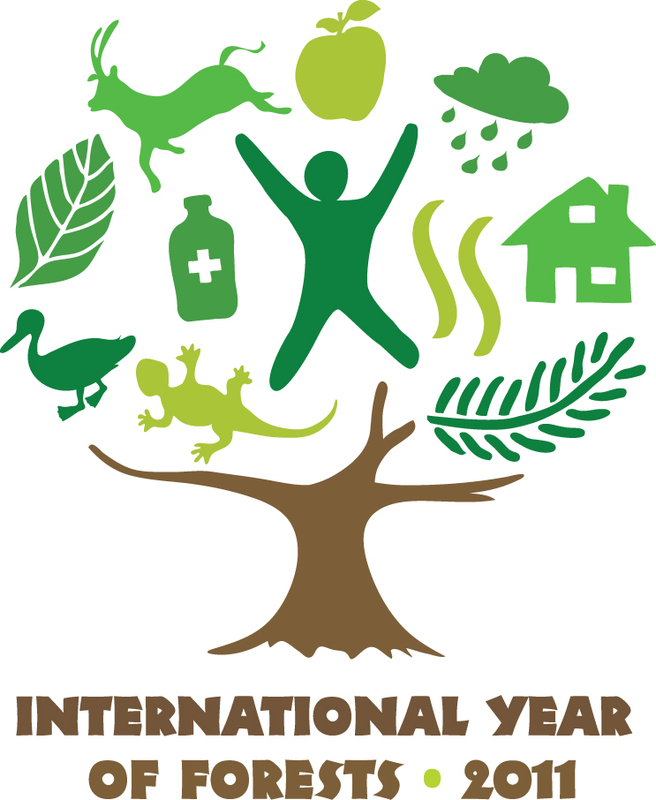 The logo celebrating the event was designed to empathize the crucial role of forests for being at the same time shelter for people, habitat to bioversity, source of food, medicine and clear water. A number of events have been arranged to celebrate this important occasion. On the FAO website there is an interesting section called Toolkit for communicators where it is possible to find videos, pictures, posters and banners together with several publications. In November, UNODC will arrange a workshop for Police, Prosecutors, Judges and Forest Rangers on the topic of criminal justice response to illegal logging in Indonesia.